For years, the Subaru Outback has remained one of the most rewarding crossovers in its class. Drivers have grown to love the Outback's versatility. It's designed for the families who love adventure. Great ground clearance and a capable AWD system enable you to confidently travel off the beaten path. To help keep the Outback a few steps ahead of the competition, Subaru decided make its top-rated EyeSight safety package standard across the lineup. Now is the perfect time to head down to your local Boulder Subaru dealership. The available Boulder specials will help you to save big! The 2019 Subaru Outback in Boulder CO is among the most stylish SUVs on the market. It has a refined look that's destined to age gracefully. Even years from now, this crossover will still turn heads. You'll immediately notice the Outback's adventurous design. It demands attention without appearing overly aggressive. Raised roof rails with integrated cross bars come standard. A roof spoiler adds to the Outback's modern appearance. Aside from the base model, all of the other trims come equipped with fog lights. Featuring a larger set of 18-inch alloy wheels, the 2.5i Limited model has an even more commanding road presence. For the drivers who desire a sleeker look, your local Boulder Subaru dealership offers the 2.5i Touring model. It features low-profile roof rails and LED Steering Responsive Headlamps. You'll have several eye-catching paint colors to choose from. Some of the popular finishes include Crimson Red Pearl, Ice Silver Metallic, Twilight Blue Metallic, and Crystal Black Silica. To see all of the new Outback trims, make a trip down to Flatirons Subaru. You'll then be able to see why this SUV stands apart from the competition. Before you leave home, don't forget to check out the current Boulder specials. Look forward to saving a lot of extra cash! 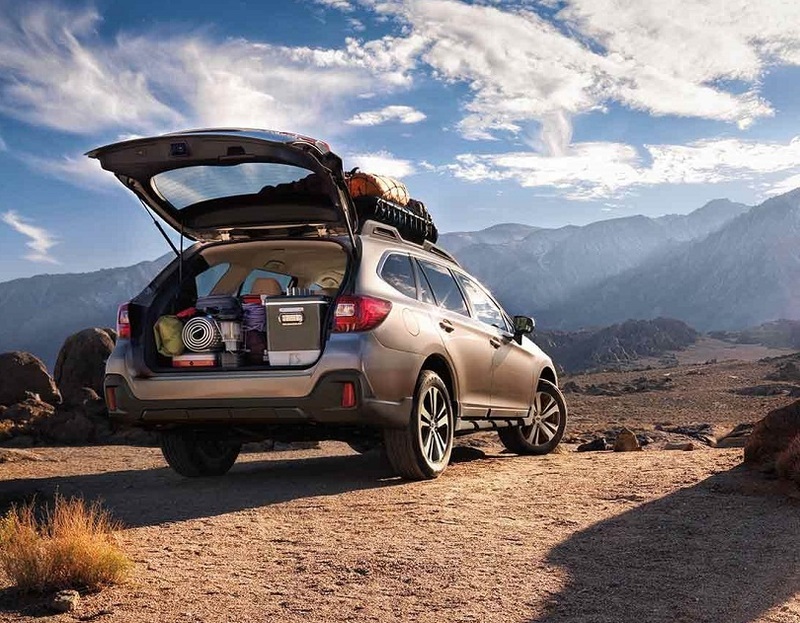 Your family will love the 2019 Subaru Outback in Boulder CO. Its spacious cabin provides enough room for up to five people. Everyone will be able to truly stretch out. Comfortable seating enables you to relax throughout the day. 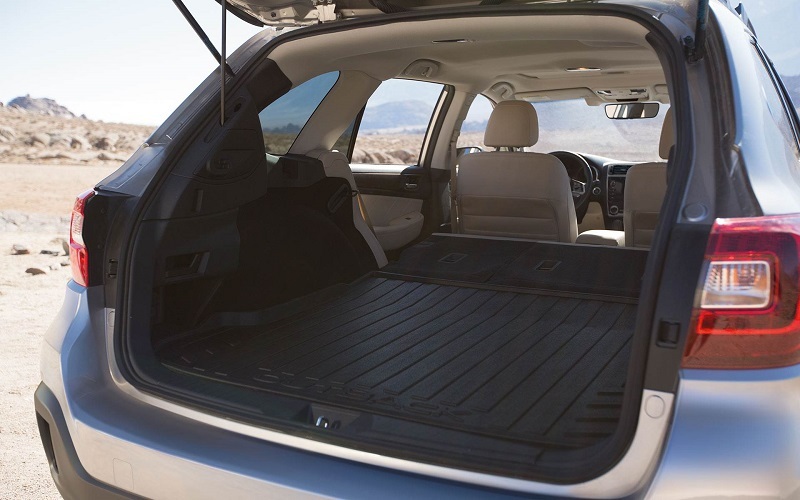 You can also take advantage of the Outback's flexible storage area. From camping gear to skiing equipment, you'll be able to pack a lot of extra stuff. An available power tailgate makes loading cargo a breeze. Even the base model comes loaded with an impressive number of features. Drivers will definitely appreciate Subaru's standard Starlink infotainment system. Apple CarPlay and Android Auto give you easy access to your favorite mobile apps. Some of the other highlights include a backup camera, a 6.5-inch touch screen, and Bluetooth connectivity. As you climb the trim ladder, you'll be rewarded with even more goodies. Featuring a total of 12 speakers, the Harman Kardon premium sound system promises to delight music fans. Meanwhile, an available power sunroof allows you to experience even more fun on the road. If you desire more luxury, step up to the range-topping Touring model. Expect the 2019 Subaru Outback in Boulder CO to deliver an incredibly smooth performance on the road. Its comfort-tuned suspension does a great job of absorbing rough patches of pavement. You'll also enjoy the Outback's tight handling. It drives more like a hatchback opposed to a traditional SUV. Even when taking curves, drivers will be inspired with a great deal of confidence. No other crossover in the class gives you a greater sense of control. 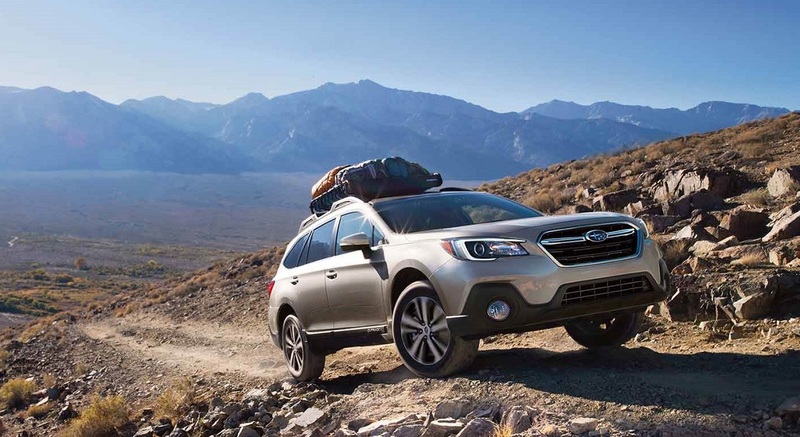 Unlike most of its competitors, the 2019 Subaru Outback is also a skilled off-road performer. Nearly nine inches of ground clearance helps the Outback to tackle rough terrain. All models benefit from an advanced Symmetrical AWD system. When traveling on slippery surfaces, you can take full advantage of the SUV's X-Mode feature. It ensures the maximum traction. Hill descent control gives you enhanced stability in challenging environments. While the new Outback obviously brings a lot of great qualities to the table, nothing beats experiencing its real-world performance. Call today to schedule a test drive! While behind the wheel of the new 2019 Subaru Outback, you'll grow to love its punchy performance. A 2.5-liter, four-cylinder "Boxer" engine comes standard. It's tuned to develop a healthy 175 horsepower and 174 pound-feet of torque. Not only is this engine remarkably responsive, but it also rewards you with extra fuel savings. A Lineartronic CVT comes standard, which further enhances the Outback's efficiency. If you desire more power, step up to the potent six-cylinder engine. Its 256-horsepower output allows you to experience especially strong acceleration. The additional muscle will also come in handy when towing a load. Stamped with a five-star overall safety rating by the NHTSA, the 2019 Subaru Outback promises to protect your friends and family. For the 2019 model year, your Boulder Subaru dealership equips every trim with an EyeSight safety package. You'll enjoy several advanced safety technologies, including automatic forward emergency braking and lane-keep assist. Blind-spot monitoring and rear cross-traffic alert are offered as well. 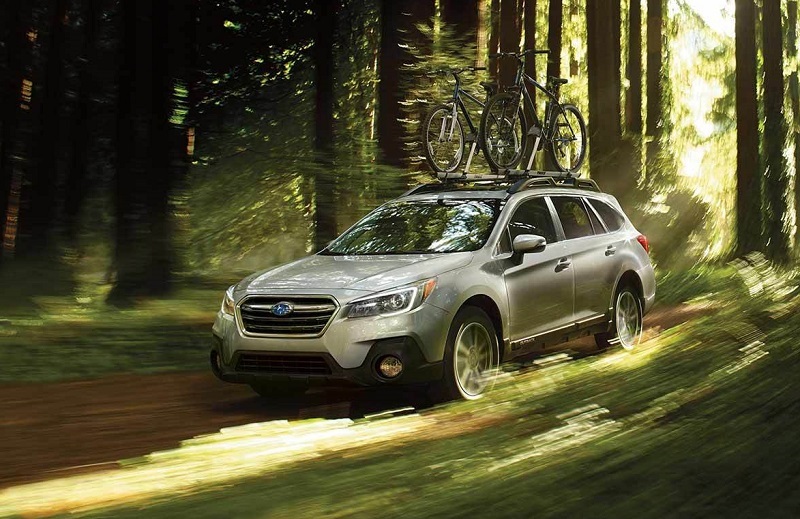 Call Flatirons Subaru to schedule a test drive of the new Outback! Remember, Boulder specials are now available to local drivers.